Greenville Contact Us - Dr. William W. Brown, Jr.
Brown Dental Associates is Committed to Serving You! 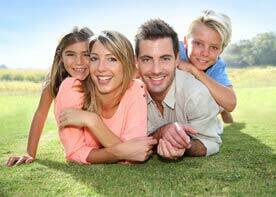 We are the practice to trust for the best dental care. This year we celebrate our 25th anniversary in Greenville, South Carolina and we remain committed to serving you. Our dental team provides cutting edge treatments for more comfortable visits and better results. Brown Dental Associates uses Perioprotect for gum disease treatment, air abrasion or no-drill dentistry, digital photography and intraoral cameras, low-radiation digital X-rays, Easyshade color matching scanner, crown color matching and sedation for patients who want to reach a higher level of comfort. If you want to learn more about life-changing dental treatments or you have questions about your oral health, don’t hesitate to call our Greenville, SC dental office at 864-408-8873. We are here to help.